When cyclist and two-time University of Virginia graduate Andrea Dvorak first discovered her new protégé, Eddie Anderson, his cycling skills weren’t the only thing causing a sensation. “We had a mountain bike race in Richmond two years ago, and out of nowhere, Eddie won. He beat all of the bigger names, all of the people we were expecting to win,” Dvorak said. Though Anderson, now a first-year economics student at UVA, notes that he was indeed wearing mountain biking shoes – though not the narrower, specialized kind that most racers wear – the idea stuck. His fellow riders still call him “Sneakers,” and they still marvel at how quickly the kid from Richmond went from a total unknown with little road racing experience to a professional who will ride with the U.S. under-23 men’s national team in Europe this summer. Part of his rapid rise can be attributed to his natural talent. Anderson started mountain biking with his father – a 1981 UVA graduate – in middle school and immediately loved it. However, there is also the undeniable fact that Dvorak is an excellent person to get discovered by. 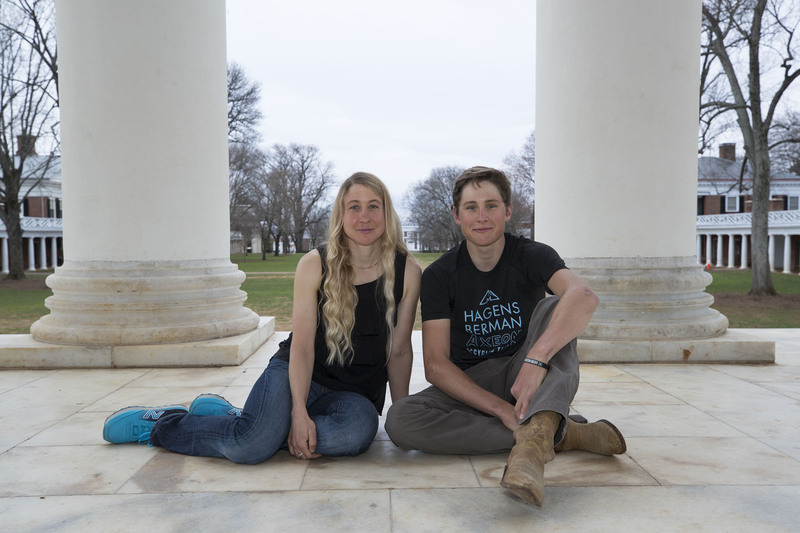 She started cycling at UVA after an injury kept her from competing with the track and field team and met her husband, Peter Hufnagel, in UVA’s Cycling Club. After graduating from UVA in 2003 and from the School of Law in 2006, Dvorak spent 10 years as a professional road cyclist. 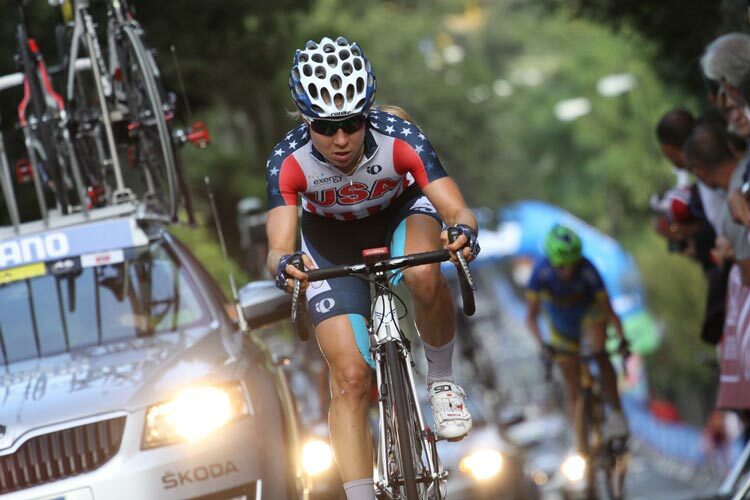 She represented the U.S. three times at the World Championships, won a stage of the Women’s Tour de France and served as an alternate on the 2012 U.S. Olympic team. Now, she coaches the cycling team at The Miller School of Albemarle and runs a nonprofit mountain biking league with Hufnagel. After those first few phone calls, change happened fast. Dvorak and Anderson ended up talking with the professional cycling team Axeon Hagens Berman, which Dvorak called “the best under-23 team in the world.” Anderson, then a high school senior, signed with Axeon’s 16-person team in November 2016, just a few months after that Richmond mountain biking race, and began training with Dvorak as his coach. “He literally went from mountain biking in sneakers, with minimal road racing experiences, to racing with this amazing professional team” in just about four months, Dvorak said. 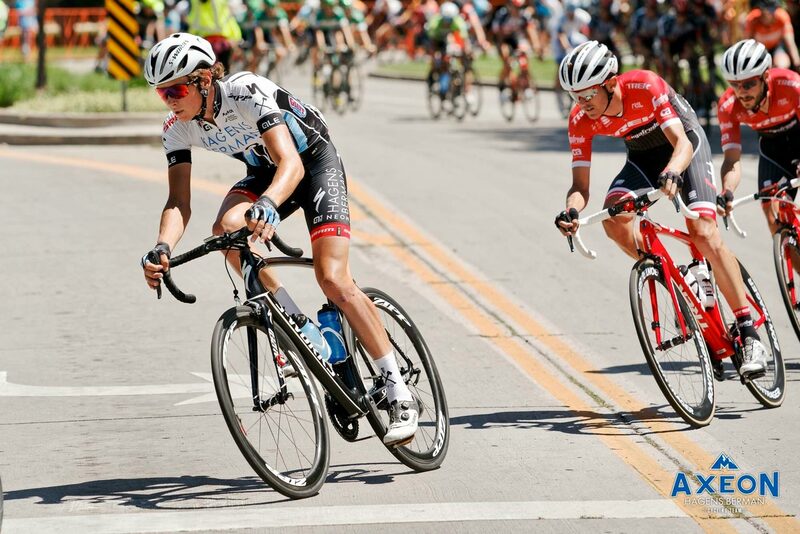 Anderson’s entrée into professional cycling came at about the same time as his transition from high school to college. He chose UVA in part because of the strong cycling community at the University and in Charlottesville, which is surrounded by some of the country’s best cycling routes in the Blue Ridge Mountains. 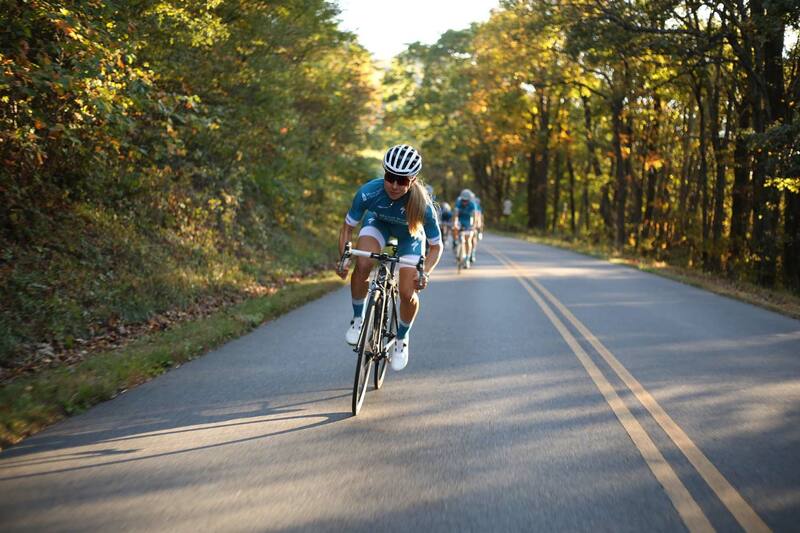 Now, Anderson spends many hours riding on favorite road routes – like the Blue Ridge Parkway – and through the mountains with Dvorak, students in the UVA Cycling Club and local mentors like Ben King, a Charlottesville native and professional cyclist who has won several championships and ridden in the Tour de France. Between rides, Anderson focuses on his classes. He enrolled as a full-time student in the fall and is currently a part-time student to accommodate his race schedule during the spring and summer cycling season. He chose to study economics because he enjoys math and wanted to learn more about the business world, and he has worked closely with his adviser, economics professor and fellow cycling enthusiast Lee Coppock, to plan out his class schedule. Coppock said he and Anderson have been talking about his options for the future, which include everything from continuing to study part-time at UVA while racing to pursuing a cycling career full-time and returning to complete his degree later. Anderson and Dvorak have also been talking more about his future in the sport. This summer, he will be racing with the U.S. under-23 national team in Europe. Among his long-term goals are some of the biggest races in cycling, including the Olympics and the Tour de France. Dvorak, ever the coach, quickly reiterates her belief that Anderson can make an impact on the world stage. For now, Anderson is focused on training for his first race of the season, the San Dimas Stage Race in San Dimas, California at the end of March. It is one of several races to come for his Axeon Hagens Berman professional team this spring and, like each race after it, it will require many hours and many miles of preparation. Anderson, however, is not daunted by the task ahead. He loves his sport – he has a harder time picturing himself not cycling – and he knows he has Dvorak in his corner to help him map out his training, make connections and share her own hard-won experiences from a decade spent on some of the same profession stages he aspires to. “If I could accomplish half of what she has in her career, that would be amazing,” he said.